What is the ISFORMULA Function? The ISFORMULA Function in Excel is an Information functionFunctionsList of the most important Excel functions for financial analysts. This cheat sheet covers 100s of functions that are critical to know as an Excel analyst. It will test a specified cell to see if it contains a formula and if it does contain a formula then it will return TRUE, else, it will return FALSE. 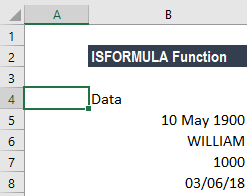 The ISFORMULA function was introduced in MS Excel 2013. The purpose of the function is to show the formula, if any, contained in the cell. Reference (required argument) – It is a reference to the cell we wish to test. Reference in the formula can be a cell reference, a formula, or a name that refers to a cell. 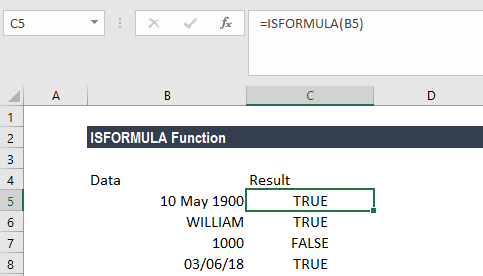 How to use the ISFORMULA Function in Excel? Let’s say we are given the data below and we wish to find out if any formula was used (or not used) in the data. So, the function gave us the cells that contained a formula. Let’s see how this formula can be used with conditional formatting. 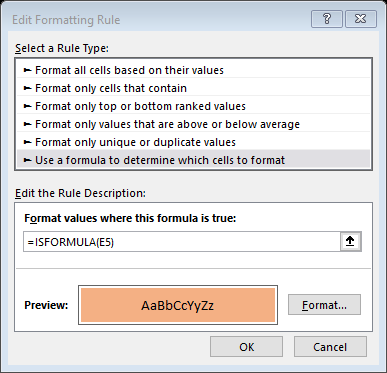 If we are dealing with large amounts of data and we wish to highlight cells that contain a formula, we can do that using ISFORMULA along with conditional formatting. 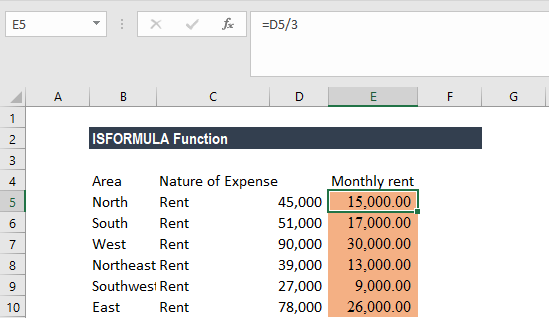 Now we are given the quarterly rent paid and we’ve calculated monthly rent paid in the adjacent column by using the ISFORMULA function. Select cells D2:D7, with cell D2 as the active cell. After that, click the ‘Conditional Formatting’ command (on the Home tab). Click on ‘Use a Formula’ to determine which cells to format. 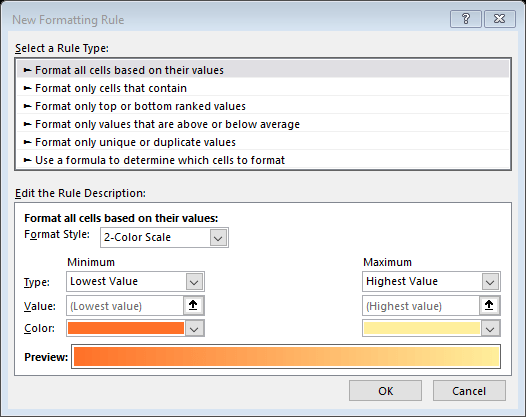 Now click on the ‘Format’ button, and select a fill color for the cells with formulas – Peach in this example. Now, click ‘OK’ to close the windows. Where row 13 is the sum of all the rows above it. We can find out which cells contain a formula. So, FORMULATEXT, ISFORMULA, and TEXTJOIN functions all were used simultaneously. 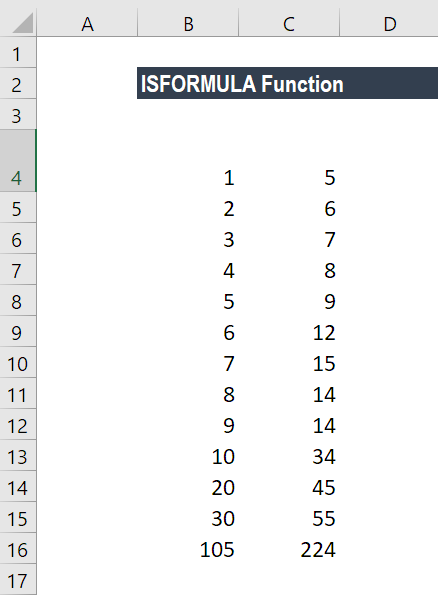 How does the ISFORMULA Function in Excel work? First, for the (fRange) A1:B13 we provided, we gave ADDRESS(ROW(fRange),COLUMN(fRange)). So, Excel returned an array of cell addresses for the desired range. Next, FORMULATEXT(fRange) returned an array of formulas for that range. When this array was processed by the TEXTJOIN function, it gave a string of formulas with their corresponding cell locations. #VALUE! error – Occurs when the reference is not a valid data type. Even when a formula entered results in an error, ISFORMULA will return the result as TRUE as that cell contains a formula.